Texas persimmon is believed to have originated somewhere in central and west Texas or northeastern Mexico. It can be seen growing commonly in brushy areas on level uplands, stony hillsides in these areas. 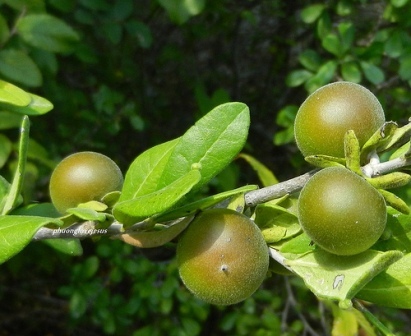 This fruit is very common in central and south Texas and hence the name Texas persimmon. A large shrub or small tree with very hard wood, usually multi-trunked; normally 3-5 m tall but can reach upto 10 m; bark light gray to white, smooth, thin, on some trunks peeling in rectangular flakes and exposing a pinkish layer beneath. Leaves up to 5 cm long, but most about half this length, firm textured, rounded or slightly notched at the tip and tapering to the base; margins smooth, rolled down. 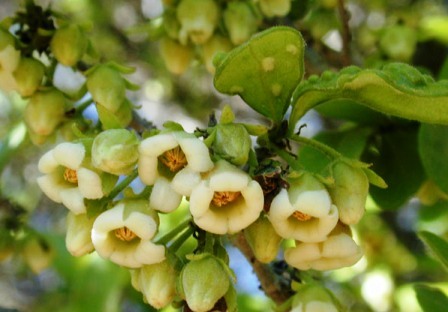 Flowers urn shaped, whitish, about 1 cm wide, arranged singly or in small clusters among the new leaves; male and female on separate plants. Fruit fleshy, round, up to 2.5 cm in diameter, black at maturity, sweet. The fruits are edible and can be eaten fresh. They taste like prunes. The fruits contain good level of lycopene. The fruits are used in puddings and custards. 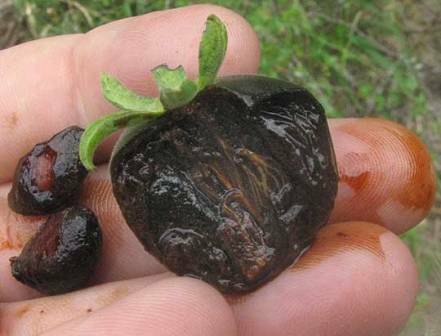 A black dye is made from Texas persimmon fruits in Mexico. It is a slow growing tree. It can withstand drought and can be grown with very little care. New plants can be raised from seed. 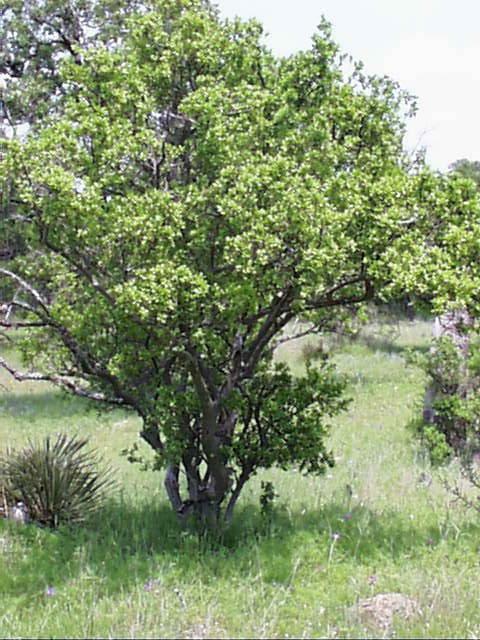 Texas persimmon can also be planted as an ornamental tree.